Pakistan: 114-2 in 23 Overs Over Summary: 1 3 Wd 0 1 0 4 Ehsan continues, Malik plays the first ball in the leg side for a single. Imam glanced the 2nd ball to fine leg for a couple of runs. WIDE. DOT ball. Malik takes a single off the 4th ball. DOT ball. Imam dance down the ground and hit the ball for FOUR. Pakistan: 95-2 in 21 Overs Over Summary: 0 W 0 0 1 1 Ehsan Khan to Babar Azam, punches the first ball to mid-wicket. Babr Azam OUT, gets a thin outside edge, esily taken by wicket-keeper. 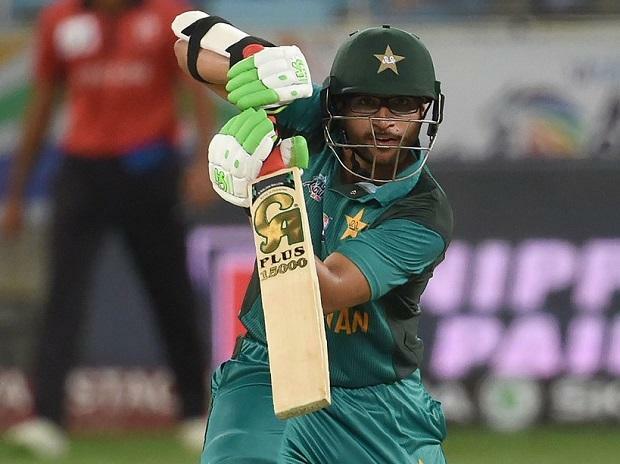 Babar Azam c Scott McKechnie b Ehsan Khan 33(36) [4s-3 6s-1] Shoaib Malik, right handed bat, comes to the crease and Ehsan turns the 3rd ball which kissed the Malik's pad, no run. Another DOT ball. Malik takes a single off the 5th ball. Imam takes a single to keep the strike.